Including cigarettes, scrolls, and sewing up poems. Writers can be curious creatures, and some swear by peculiar routines and superstitions to help them put pen to paper or fingers to keys. From Vladimir to Virginia, dive into the writing routines of some of history’s most famous novelists and poets. Where’s the fun in writing the beginning, middle and end in the right order? Vladimir Nabokov wrote on index cards, using hundreds of cards for each novel. He started writing once the “pattern of the thing” was clear on his mind. Rather than writing linearly he would “pick out a bit here and a bit there, till I have filled all the gaps on paper”. He would rearrange the cards, and not until the work was finished would he number them. Then he dictated them to his wife, who typed them in triplicate. Ever pulled an all-nighter to finish a project? Imagine this: An obsessive worker and notorious chain-smoker, García Márquez reported that he “did not get up for 18 months” when he was working on One Hundred Years of Solitude. Even if he’s exaggerating just a little bit, that’s some serious dedication. New England poet Emily Dickinson wrote about 1,800 poems, most of which weren't published until after her death. Dickinson wrote in private, organizing her poems in bundles that she sewed together. Standing desks might be new to modern offices, but standing writers are not! Ernest Hemingway would sometimes write on his feet, and often on his favoured machine: a Royal typewriter. As well as a Nobel Prize winner, Alice Munro is a proven multitasking pro. By the age of 21, Munro was married, had moved from rural Ontario to Vancouver, and had given birth to her first baby. Over the next 15 years she produced short stories for magazines and radio, writing frantically through her pregnancies – and then during her babies’ naps, school hours, and into the night – for fear she would never get the time again. Thankfully for readers worldwide, she did. Now that’s stamina. When you’re the poster child of spontaneous prose, not a moment can be wasted! To allow himself to write without interruption, Kerouac stuck sheets of paper together in a single scroll to feed through his typewriter. The manuscript of On the Road measured an astonishing 36 metres (120 ft). Don’t mind writing on any old napkin? Dickens could not relate. The quintessential Victorian author was very particular about his writing supplies, and in his letters often referred to the quality of the ink and quills at his disposal. Don’t feel so bad about your messy desk! Virginia Woolf wrote at a wooden table in a lodge in the garden of Monk’s House, a cottage in East Sussex owned by Woolf’s sister Vanessa and her husband. Woolf commuted to the lodge daily, and would even sleep there on occasion. 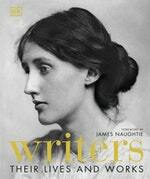 Visitors to the lodge in Woolf’s day reported that it was always strewn with books and papers.